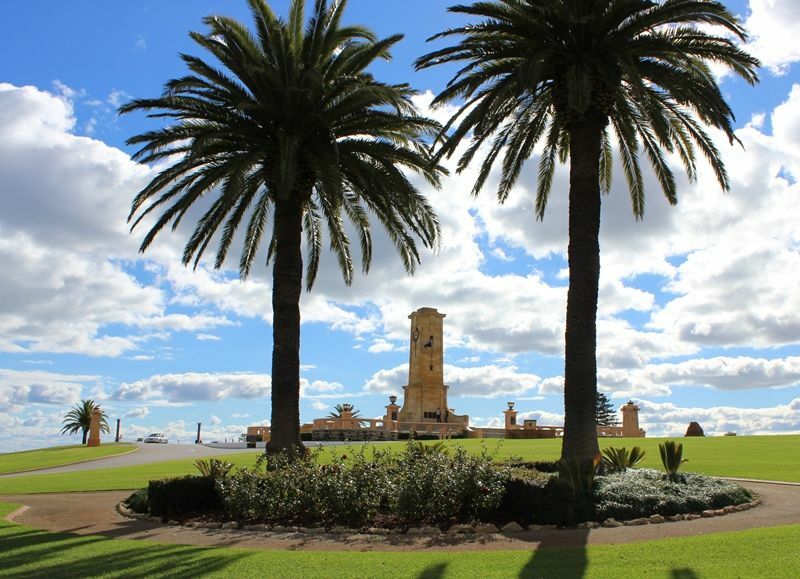 The Fallen Sailors and Soldiers Memorial which was originally erected to commemorate those who served in World War One now commemorates Australian servicemen and women who have served in all wars and conflicts. The Toodyay stone masonry pillar fourteen metres in height and podium was built in 1928 by public subscription. The eleven acre reserve is also designed as an integral part of this memorial. The main memorial is surrounded on three sides by eight smaller association memorials located on the lanterns. M.N., Army, Royal Australian Air Force, Royal Australian Navy, D.E.M.S., H.M.A.S. Sydney II., Aboriginal Servicemen and women, Korea-South East Asia. 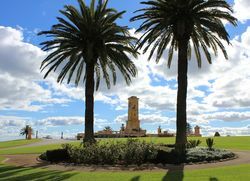 The Memorial was unveiled on the 11th November 1928 by the Lieutenant -Governor of Western Australia, Sir Robert McMillan, and dedicated by Canon Collick in front of a crowd of several thousand people. The cost of the memorial was £6000. A memorial tablet on the main column was unveiled by Archbishop Riley on Anzac Day 1928. The West Australian (Perth), 8th November 1928.